Among the small clutch of green autos on view at the Detroit auto show early next year, Toyota will be debuting an as-yet-unnamed all electric car concept. This is meant to demonstrate the company’s commitment to electric, a move which only makes sense, seeing as the whole “peak oil” thing is pretty much destined to make the gas guzzler obsolete. Still, the car arrives without much fanfare or details — all we really know is that it’s all electric and that it’s smaller than a Prius. 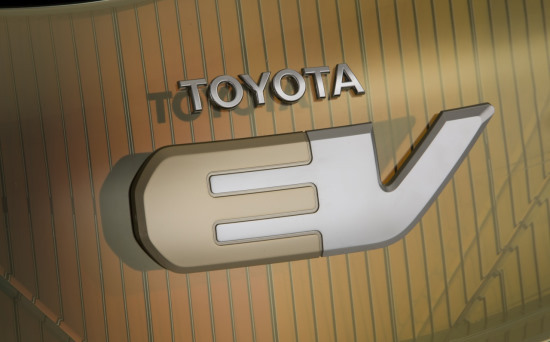 This comes after the Japanese automaker’s push into electric fuel cell development and their stated intention to have an EV on the market alongside the next gen Prius hybrid in 2010. Of course, we all thought we’d have flying cars by 2010, but the industry’s inability to produce a robust all-electric motor has certainly put the kibosh on that once great dream. Update: When we initially posted this item, we ran it with a pic of Toyota’s iQ (a perfectly reasonable move in lieu of the fact that Toyota has yet to release a picture of the car). 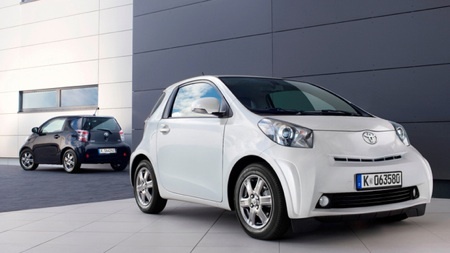 After Engadget Spanish turned us on to a more suitable image, we moved the iQ car after the break.